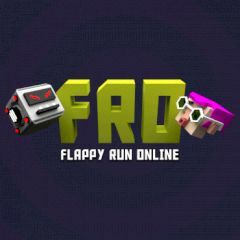 Compete with other players in this amazing Flappy Run game. Wait for connection and tap on the screen to start the run. Click to flap and get through two columns and watch the timer. Don't lose points streak and multiply every section. Reach the finish without failing and get maximum points, which you can spend on character customization.